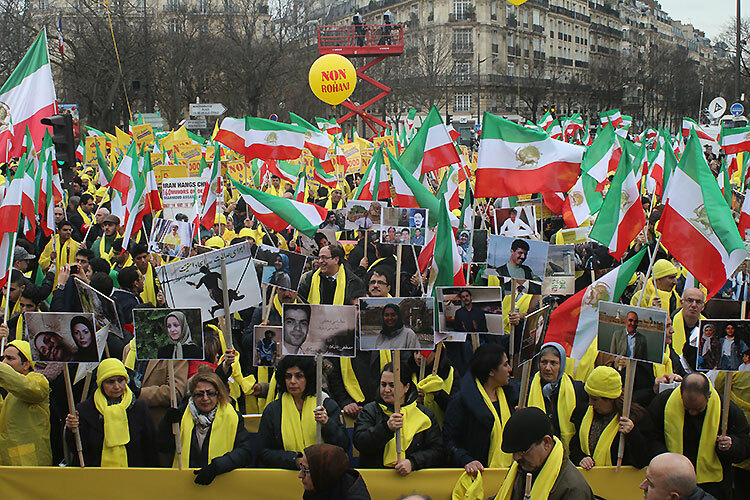 Iranian dissidents from the National Council of Resistance of Iran (NCRI) gathered again near Paris this month to show their support for democratic change in Iran and their opposition to Western deal-making with the country’s autocratic leadership. The NCRI is one of two parliaments-in-exile that are run from abroad by exiles against the clerical regime and it holds its annual Iran Freedom Rallies to highlight the dissidents’ cause. This year it claimed that 100,000 Iranians had attended its event, which was held near Paris at Le Bourget. The NCRI itself is a political umbrella organisation with more than 500 members from five political groupings. The largest of these is the controversial People’s Mujahedin of Iran (MEK), which has long been led jointly by husband-and-wife team Massoud and Maryam Rajavi. Since 1993 Mrs Rajavi has also been the President-elect of the NCRI. The MEK is reputedly the largest militant Iranian opposition group committed to the overthrow of Iran’s Islamic Republic. Meanwhile the NCRI considers itself a government-in-exile, ready to return to Iran once the current regime is overthrown. 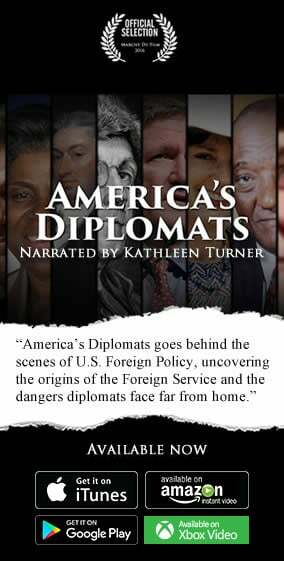 The group has thrown itself into lobbying in America where it has cultivated a number of influential former high-ranking US officials across the political spectrum. High profile political figures who have backed the NCRI in the past include Democrats like Howard Dean, Ed Rendell, Wesley Clark, Bill Richardson, and Lee Hamilton, and Republicans such as Rudy Giuliani, Fran Townsend, Tom Ridge, Michael Mukasey, and Andrew Card. This year’s rally drew another bipartisan American delegation, together with delegates from the EU and various nations of the world plus representatives of the moderate Syrian opposition and other anti-Islamist movements. It even caused a diplomatic spat between Cairo and Tehran after Iran protested strongly at the presence of Egyptian lawmakers at the opposition rally. Egypt and Iran have not had full diplomatic relations since 1980, when the new revolutionary regime in Tehran cut ties in protest at Cairo’s signing of a peace treaty with Israel and its hosting of the deposed Shah shortly before his death. The relationship remains strained today as Egypt is a major Sunni power whose military-led regime is strongly backed by Iran’s arch-rival Saudi Arabia. At the event itself heavyweight US allies speaking this time around included former Speaker of the House Newt Gingrich and the former Governor of Vermont and ex-chairman of the Democratic National Committee Howard Dean. They were part of an international line-up of dignitaries attending to register their opposition to the Iranian regime. Speakers’ choice of topics ranged from the fate of MEK members living in Camp Liberty in Iraq, condemnation of Iran’s support for the Assad regime in Syria, to the flaws in the Obama administration’s Joint Comprehensive Plan of Action (JCPOA) with Iran, to which the NCRI and its allies in the Arab and Western worlds remain fiercely opposed. It is the subject of the JCPOA which may give the NCRI the most traction in the year or two ahead. This agreement was painstakingly negotiated and ratified in 2015 after years of crippling economic sanctions on Iran. But those sanctions were originally placed on Tehran after the MEK obtained and shared documents showing a clandestine Iranian nuclear program previously unknown to the United Nations in 2002 and the Iranian dissident group was vocally opposed to their relaxation. Mrs. Rajavi has also explicitly called for “regime change” in Tehran and has previously warned that the nuclear deal with Iran stands in the way of this by legitimising the clerical regime there. The JCPOA which the NCRI criticises so fiercely has certainly allowed Iran to restart oil production, the major source of revenue for the regime of Supreme Leader Grand Ayatollah Ali Khamenei, but has otherwise had a mixed reception around the world. But if American elections later this year return another Democratic president then Mrs. Rajavi may gain a more sympathetic ear in the White House for her views. The MEK was removed from America’s list of terrorist groups in 2012 by the Democrat’s presidential candidate Hillary Clinton while she was Secretary of State. Mrs Clinton has also expressed ambivalent views on the effectiveness of the nuclear deal with Iran, which the outgoing Obama administration sees as its crowning foreign policy achievement whilst in office. Until the next American president arrives the NCRI will continue trying to make itself heard at events like the 2016 Iran Freedom Rally. Its list of high profile attendees highlights the continued weight of the influential Iranian dissident group in the foreign policy affairs of Western nations and its cross-partisan appeal in American politics. Meanwhile the upcoming change in administrations signals a critical year ahead in the NCRI’s struggle to change the direction of Western policy towards Iran and offer itself as a political alternative. The way that America and its allies swing on their opinion of the JCPOA once President Obama has left office will provide some insight into how successfully it has achieved its aims.